This pagoda was built during the Unified Silla Era. It is 5.47m high and although the upper part has vanished, the body and the base are still well preserved. 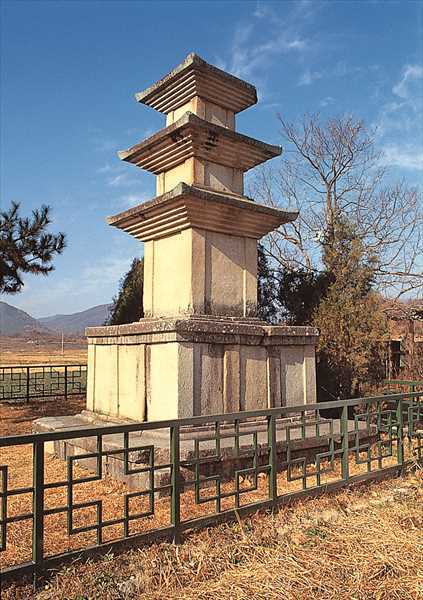 Typical of a Silla Dynasty pagoda, the foundation and main body of the pagoda are made up of eight slabs of stone. It has a gently sloped roof and the combination of angled and rounded design patterns add to the beauty of the architecture.